Television Producer & Photojournalist with a passion for sharing adventures in and around Melbourne, Australia. See my www.youtube.com/user/tmztvaustralia for other adventures. Subscribe to me so I can tell you of upcoming fab things not to miss. What a delightful way to spend a restful Saturday morning on the Mornington Peninsula, enjoying a real Heritage Farm Tour. I was lucky to score an invitation to Heritage Farm in Moorooduc over the holidays. 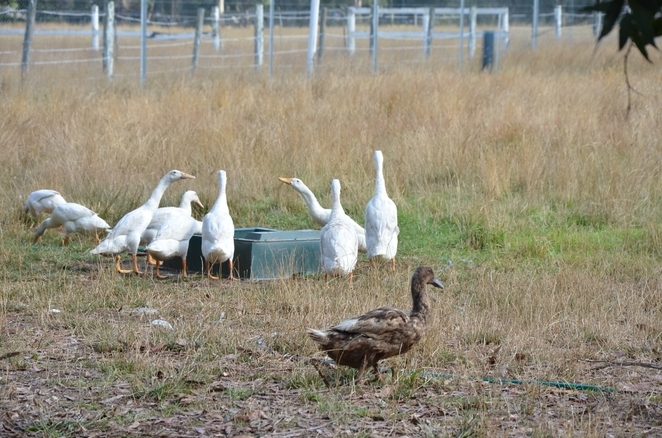 They run free tours of their ethical farm and share their knowledge about raising animals and crops in a holistic way. You tour the farm with the very innovative and informed tour guide and small hold farmer, Rach. They open their Farm gate shop every Saturday morning from 9 am til 11:30 am. The tours run once a fortnight, but you need to book in advance by phoning 03 5978 8173 or booking online. This is a fabulous tour which gives you an insight into how someone can farm ethically while nurturing the animals and getting the best food from the land. It is eye-opening for the young and old alike. And you leave with fresh free range eggs. Can't wait till their fruit trees start to produce! You might ask, "What is Heritage Farm?" Good question. This Heritage Farm is the brainchild of Rachael Koch (also your very informed tour guide) and her husband Matt Taylor. Over the years, they heard stories of how poorly the produce that we eat, both meat and veg, is treated and processed before it arrives on our dinner plates. They heard horror stories of how pesticides are used on potatoes to speed their production. Some of these pesticides are banned in overseas countries, yet we end up ingesting them. I have heard stories where tomatoes and bananas are picked unripe and then they are "gassed" in chambers to bring up their colour. This is from the people who manage the coolers. This is also done with peaches, pears and avocados. Milk from cows is gathered using massive machines and then pasteurised at an extremely high temperature to get rid of any nasties. Unfortunately, that kills any good bacteria as well as the bad bacteria. So why bother to drink milk with little to no nutritional value. This mass production is happening because of greed and because we as consumers expect "perfect" produce. But what about the bad we are ingesting with the good? They are not so perfect for our health and fitness. Well, for Rachael and Matt, the solution is Heritage Farm. Clean, healthy, ethical, nutritionally packed produce produced with clean natural methods. Rach and Matt were often confronted with chickens and ducks shoved into tiny areas to lay as many eggs as possible. The chickens were allowed to lay for a full year and then off they go to become cooked chicken dinners. It's not much of a life, so more and more people are requesting and getting free range chickens and eggs. But are they truly free range or is this labelling magic? Are "free range ducky eggs" (which I just made up) truly roaming free and happy? Or is this a 'trademarked" name and they are not free range at all? Some are not - it's a trademark. This happens because the regulatory controllers cannot keep up with greedy multi-million dollar supermarkets and their clever marketing gimmicks. Although, they are trying and making progress. FREE RANGE Duck and Chicken EGGS - Fresh from the farm gate. See the chicks roam. My understanding is now Australian Certified Organic is truly certified organic and applies to chickens, but not ducks. So to protect yourself, look for the Australian Certified Organic logo, not just a fancy name with organic in it, to make sure you are buying the true product. 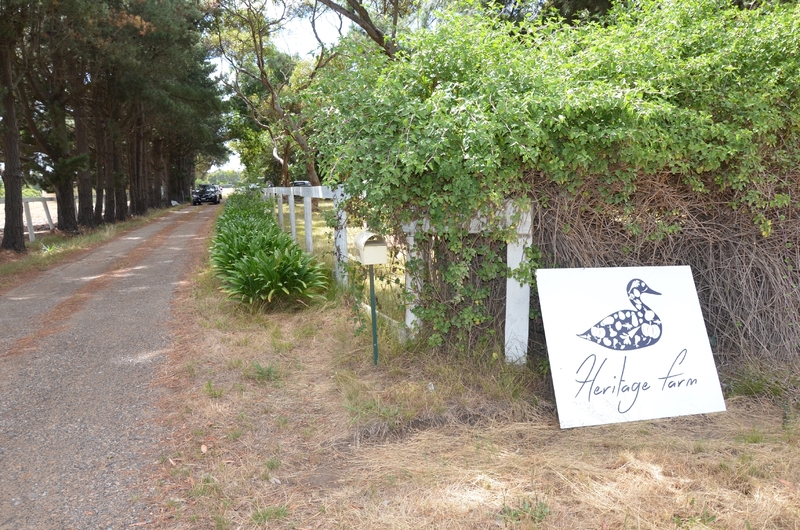 Better yet, shop at the Heritage Farm Gate. Rach and Matt allow their chickens to lay eggs for as many years as they are naturally meant to do. They live happy, pampered lives. Pampered pet, pampered produce. And you can taste it in the eggs. All the nutrition is so deep and true. You have never tasted an egg like a true free range egg. 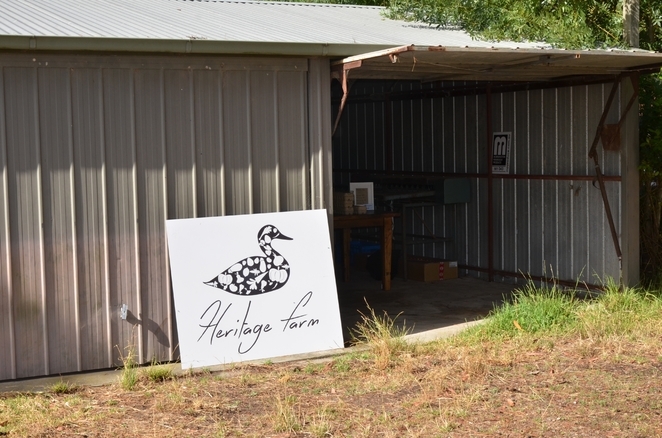 Also, many people are allergic to chicken eggs, but they go straight to Heritage Farm to get their duck eggs. And restaurants and others are starting to put in orders in advance to ensure they get a good supply of eggs. 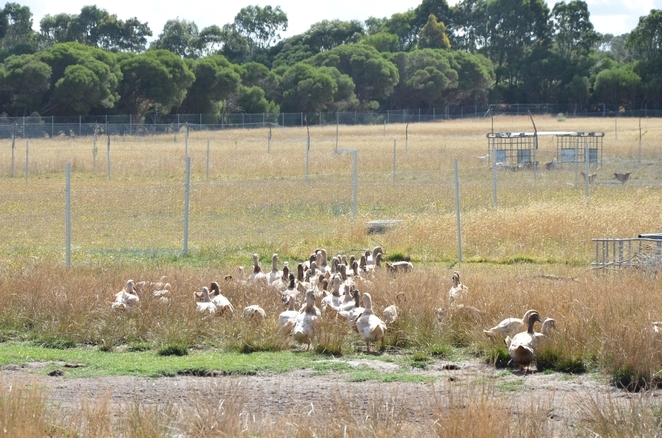 So what can we do as consumers do to get real free range chicken and duck eggs? We can head to Heritage Farm for real people, producing healthy food the old-fashioned way, which is safe for the animal, you and me, and the environment. Rach and Matt do a wonderful tour of the Heritage Farm and you can pat the animals. Two of the little girls in our tour group were even able to catch some chickens and put them back into their paddock. They had so much fun chasing after chickens. I just wish I had that speed and agility now. The chickens seemed to be having fun with the chase as well. So how did they get started down this lifetime path? After much studying and research, Rachael and Matt decided that they did not want to eat rubbish or poison any longer and can raise produce in a clean, healthy, pesticide-free way for themselves, their family and the wider community. So they looked around for the perfect land in the perfect place that could be re-established to create a sustainable living holistic and ethical farm. 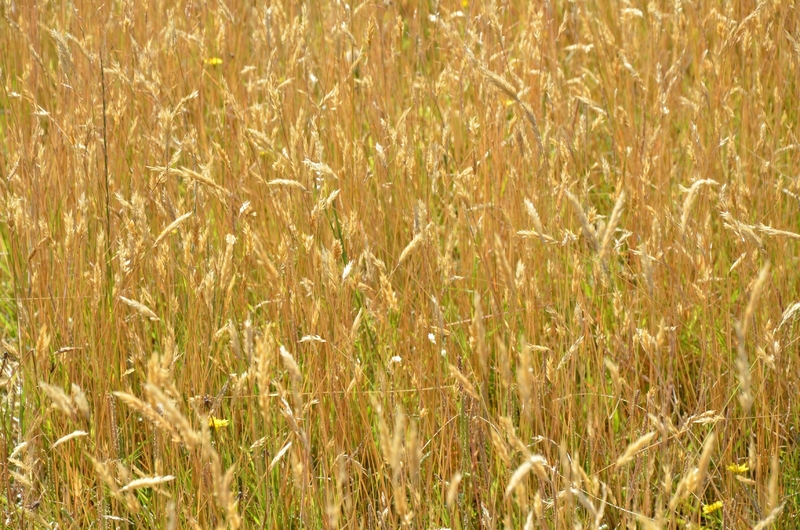 They took acres that had been run into the ground by overgrazing cattle and starting creating the wonderful Heritage Farm. 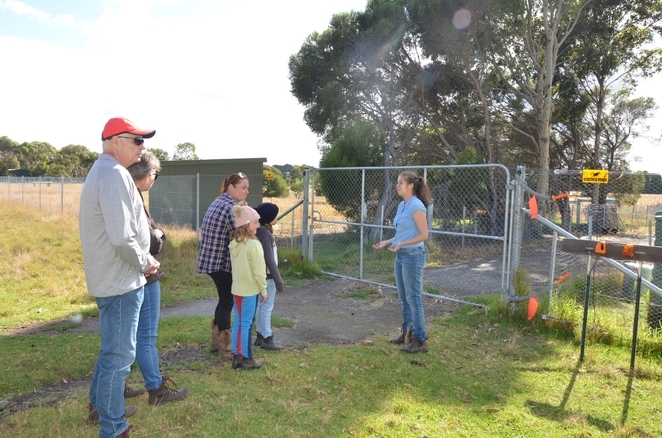 They learned to setup proper fencing (and are still learning) and learned how to rotate paddocks, where the animals clean and fertilise the land after each other before the next rotation. 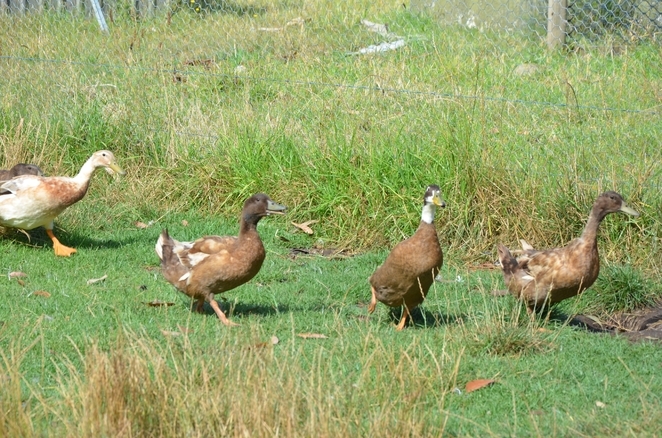 They set up free range areas for the ducks and the chocks. They also have learned how chickens like to escape and but do come home to roost and lay at night. Not all eggs, however, are laid in the hutch, so these eggs (which are often hidden around the farm) cannot be sold. But this is a minor loss in any type of growing. It is part of the farmer's lot. Their yield is incredibly high per chicken and duck due to their ethical farming practices. They planted over 200 (mostly heritage) fruit trees and have tried a new planting pattern of planting all sorts of fruit trees into paddocks, based on their ripening month. This keeps all the harvest in one area. Clever. Get down to the farm and check it out. 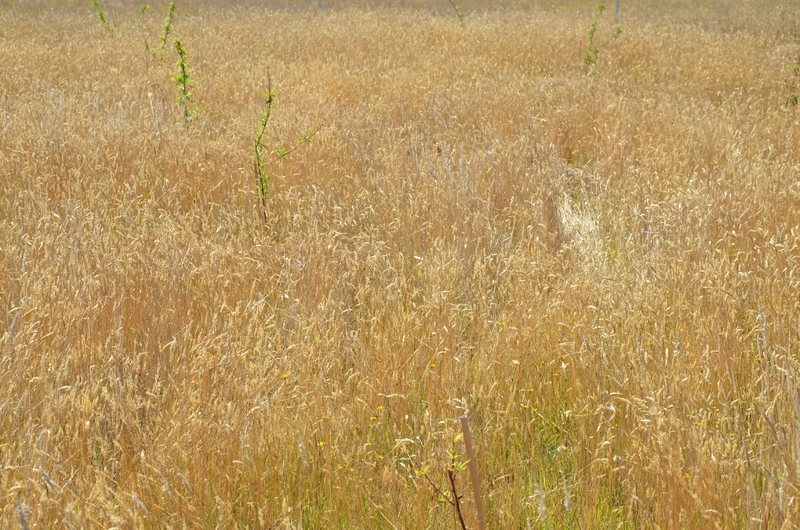 They have also chosen more hardy varieties that may not fruit as quickly as commercial fruit trees, but taste better, are better for the animals to graze underneath and hardier in the Australian climate with drought resistance strains. They have also invested in two dairy cows and are embarking on learning how to produce the freshest milk possible. The cows are so cute too. Those big brown eyes melt your soul and they are so gentle - you will love petting them with your children. Their ram is a bit naughty but a few horse training tips would straighten that out. Sheep are clever and can be trained. We have a lovely neighbor's daughter who wanted a pony so bad, she trained one of their cows to be ridden. She has finally won her pony. Another little rodeo girl trained her cow to jump. Do not be fooled that these animals are not living, breathing, thinking beings that need to be respected. This is just what Rach and Matt do on their farm. Finally, they have a passion for starting a new breed line of "short tail" sheep as they are opposed to tail docking. Now tail docking is a tried and true method of preventing "fly strike" within sheep and their wool as they grow. It also makes it easier to check on the health of female sheep and easier to sheer come shearing time. Practical, but some people find it harsh as it is a very painful process. So if you can breed sheep with short tails, wins all-round. They are working with several breed lines. The sheep are a cross where the ewes (girls) are Finn Sheep and the rams (boys), Babydoll Southdowns. How impressive is this young couple in their plans and goals for a sustainable future. I highly recommend this as a visit for the whole family and it is such a quick and convenient drive down the Eastern Freeway to Mornington to 1494 Stumpy Gully Road, Moorooduc, Victoria. You can be there in just under an hour. We had a handful of kids in our tour group and they all had to best time. Smiles all round. Animal hugs are just the best. Good for the soul. And I feel it is vital to teach our children the reality of where their food comes from and how important their food choices are in their life and for their future health. I remember when I filmed a hydroponic tomato grower for my television show, "Kidz in the Kitchen" with Gabriel Gaté. I said I needed some kids who were willing to be on the tour but they had to eat the Flavourite Tomatoes. Of course, all the family rocked up. When I said to the kids, "You have to pick the tomato off the vine and then eat it on camera". They were a bit hesitant; you know how kids are with veggies. Well, you should have seen them plough into those tomatoes. They were deliciously ripe and the freshest, sweetest, tastiest veggie they have ever tasted. One little girl said, "This taste better than fruit!" Their parents were stunned how they were eating tomato after tomato. No wonder kids hate veggies in this day and age. They are tasteless in comparison. These kids would need no tea that night. That is how fresh produce should be. So I can't wait till you cook some of these eggs from Heritage Farm to get the same response from your family. And I am going to let you in on a little secret. "What is the best vitamin pill you can take which includes every single vitamin and nutrient you need in your day?" Have you guessed? 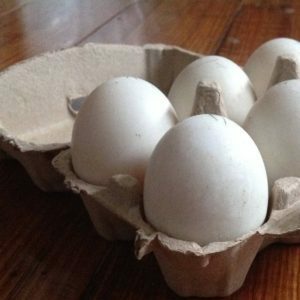 The humble egg; dump the vitamins and eat an egg. They also harvest fresh strawberries when in season. I cannot applaud Rach and Matt enough for what they have achieved with their ethical farm and how much more they are going to accomplish. We need more farmers like this in Australia. And parents, once you have driven that far, remember you are literally 10 minutes from the beautiful beaches of the Mornington Peninsula and some fab beachfront restaurants. 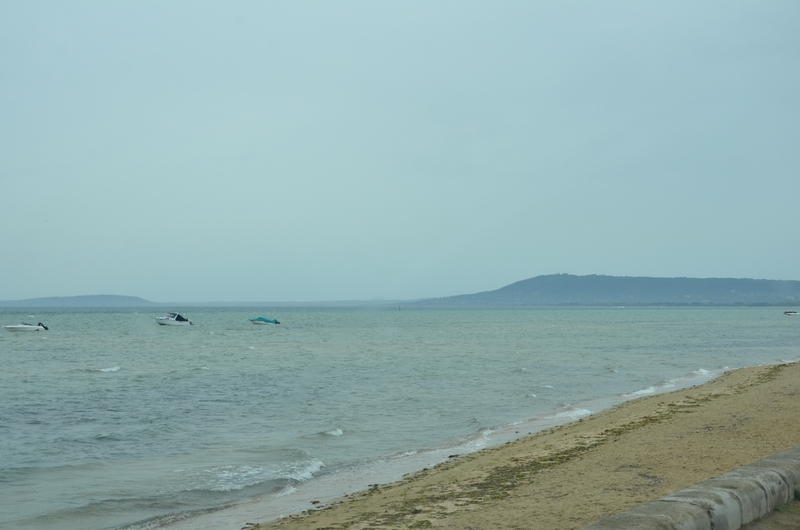 So pack the bathers for the rest of the fun-filled day. It was a pleasure to cover. Lovely couple with big dreams and impressive drive to achieve them. Learnt heaps from this article and appreciate your photographic layout ... will try to visit soon but will certainly let my Victorian friends know about it! A lovely initiative to teach our young ones about healthy food. Your article was soul refreshing. Imagine what more seeing the actual farm could do!